Alice Waters can make a lovely salad, but she's not a particularly graceful writer. I keep noticing how she talks down to her audience, most egregiously in The Art of Simple Food, which I am currently reading. Simple Food is Waters' attempt at a home cooking primer, and boy, does she think we're dunces. 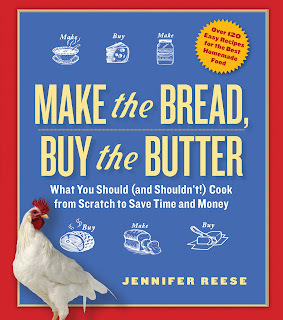 One particularly amusing example: "Butter is used for sauces, frying, finishing vegetables, baking -- and sometimes just to spread on a piece of bread." Or this: "A picnic is a great way to change the routine and get outdoors to your neighborhood park, or the woods, or the beach." Many Americans do, indeed, eat very poorly. But that doesn't mean they're stupid. F Alice Waters and her condescension. I hope she drowns in a vat of condescended soup at a Campbell's factory in Joliet. I mean, honestly. I'll show you what butter is used for, Alice Waters. If that's even your real name.